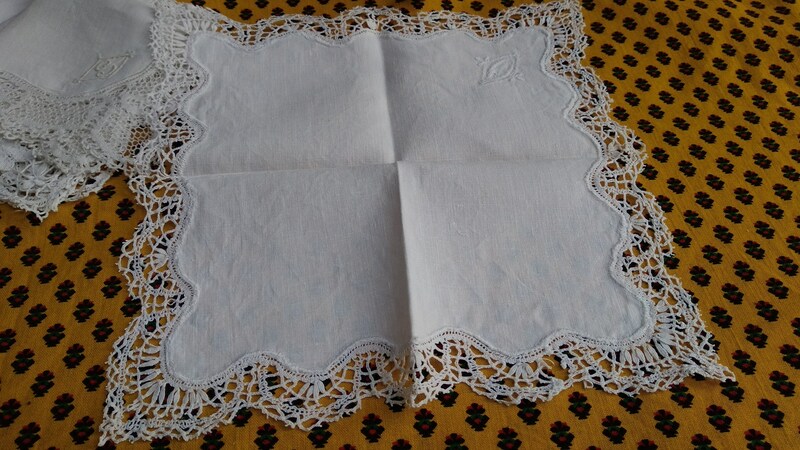 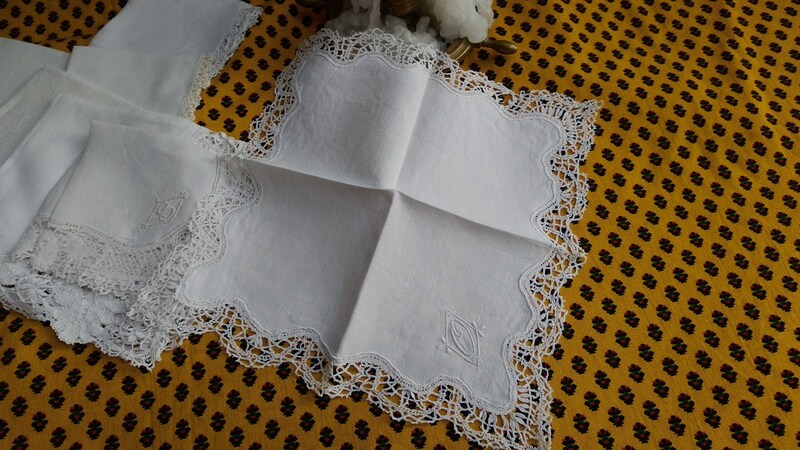 Antique white bride handkerchief. 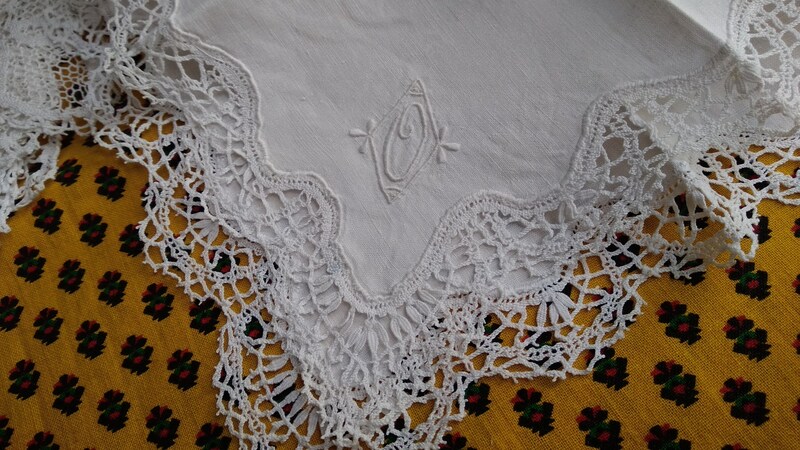 "O" Monogram Hand Embroidered. 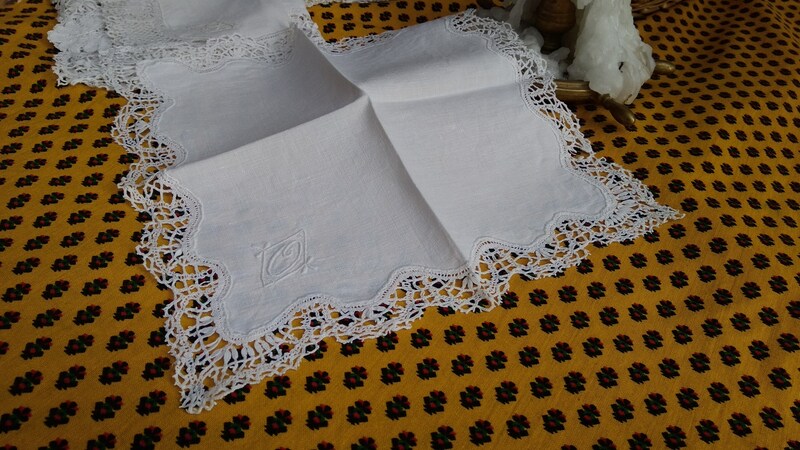 French linen and bobbin lace trim. 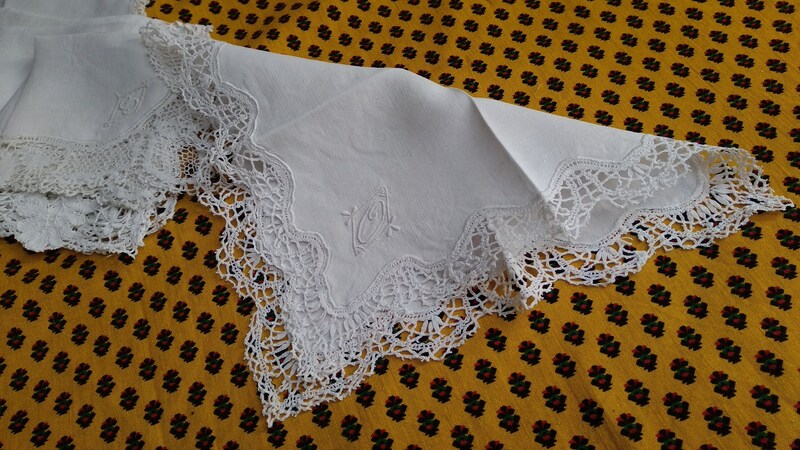 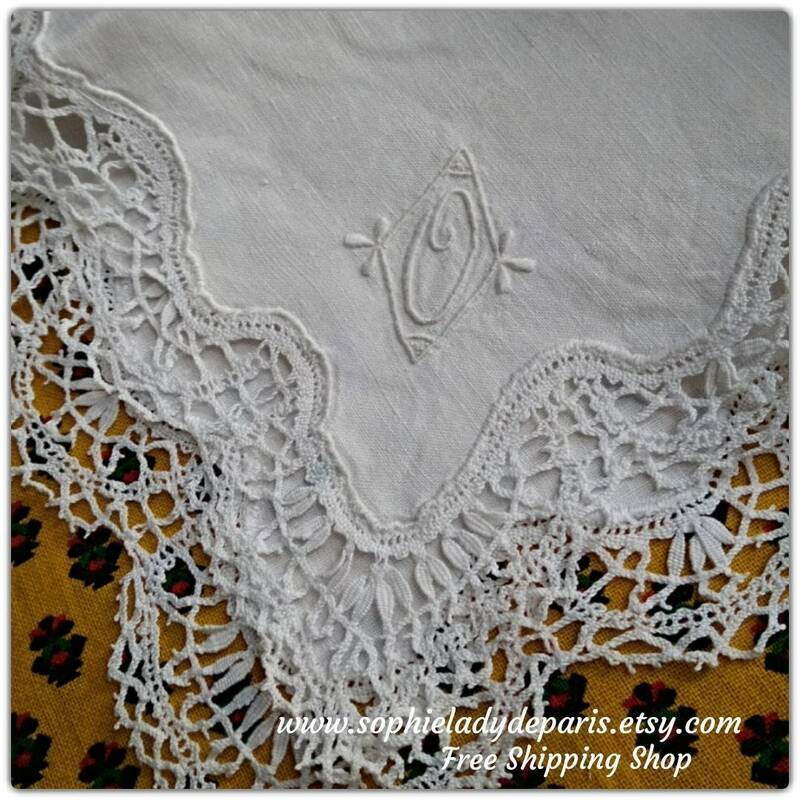 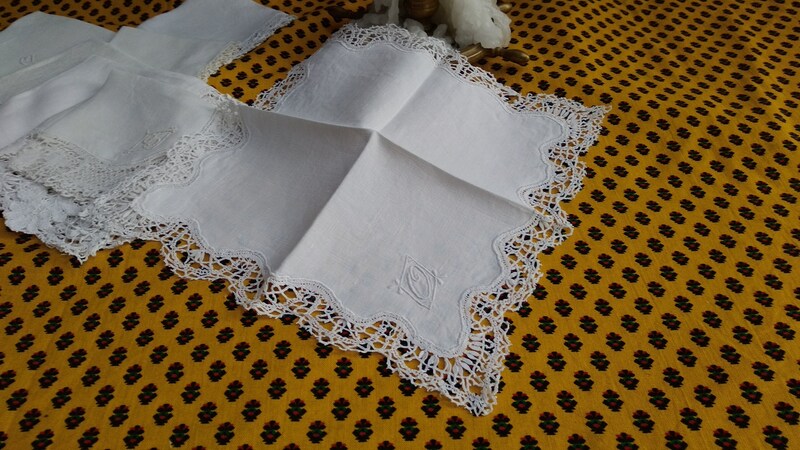 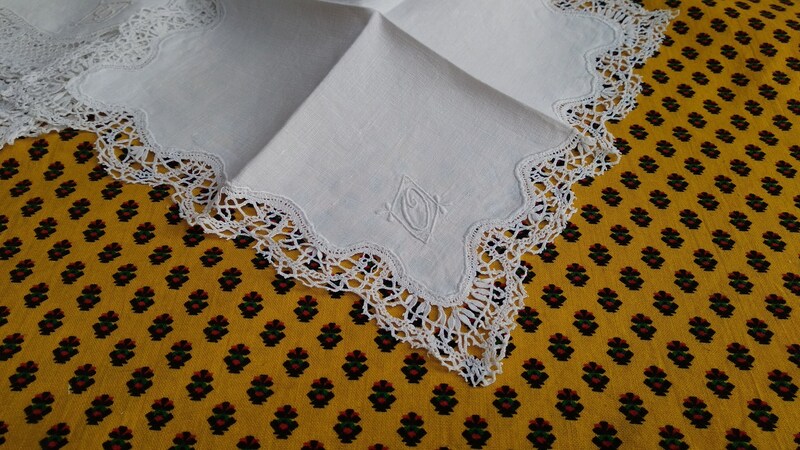 Delicate antique handkerchief for bride or to keep as collectible.